We designed The Element to enjoy our headphones without compromise. 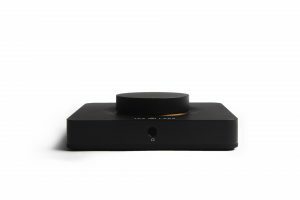 Its amplifier renders shocking power, driven by an ultra clean DAC, all housed in a precision machined chassis with a comfortable knob. The Element beautifully drives headphones of all technologies and sizes. The Element is available for Preorder via JDS Labs. The first batch will ship by June 30th. Mass production began six weeks ago and is now complete, pending final assembly (engraving, quality control, and packaging). Accessories are in transit with expected arrival later this week. We’ll share updates here, as well as on the item page. June 22 Update – All accessories have arrived and engraving is 90% complete for batch #1. Knobs remain in anodizing. Preorders placed through jdslabs.com will begin shipping June 30. We expect to conclude all shipments by mid-July at the latest. June 29 Update – The first batch of knobs have arrived. Final assembly and Q/C is underway. We remain on schedule to begin shipping tomorrow, June 30th. July 7 Update – All preorders placed through July 1 have shipped. A second batch of Elements are due for shipment in the next 3-10 business days. Each project we’ve embarked upon in the past eight years has been a step towards a better listening experience. The cMoyBB delivers better bass. 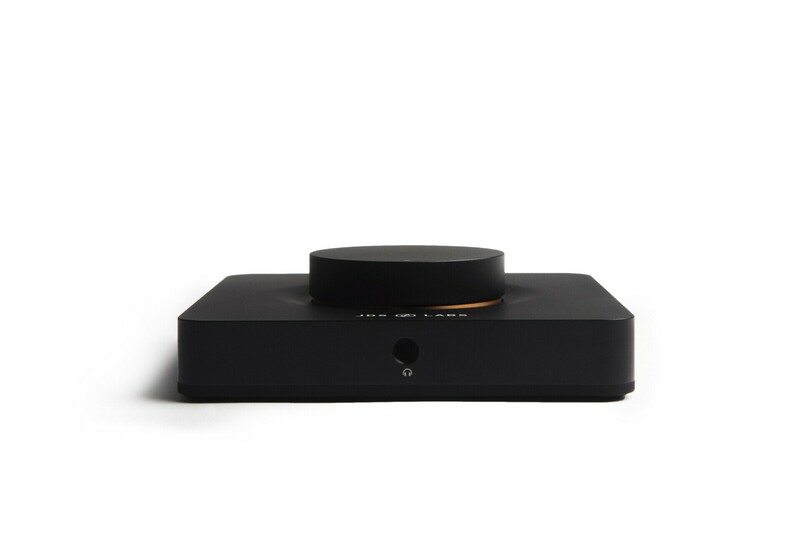 NwAvGuy’s Objective2 and ODAC projects invigorated the headphone community in 2011, inviting disruptive leaps in headphone amp/DAC performance. While our manufacturing efforts have helped propel O2 to its #1 Desktop Amp community rating at Head-Fi.org, everyone recognizes the glaring problem with O2. It’s ugly. The mechanical design was an afterthought—a bare minimum solution to put the circuit in a box. Years before JDS Labs, I often browsed impressive HiFi systems that I either could not afford, or lacked the resources to skillfully assemble. The average DIY amp in the early 2000’s demanded access to a machinist, and of course basic mechanical and electrical assembly knowledge. Whether commercial or DIY, a well designed enclosure is a work of art. The Element places equal emphasis on external and internal design. We began with an ergonomic volume knob size and position (commonly found in pro gear), then designed an enclosure to accommodate the knob, and very last created the amplifier and DAC to fit the enclosure. 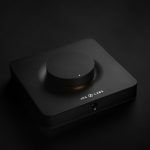 Some of our competitors have scoffed in disbelief that a niche audio company can sustainably build a product like The Element. We’ve heard that it’s priced too low. We’ve heard that our volumes need to be in the millions. We’ve heard that we’ll ultimately fail and give up. 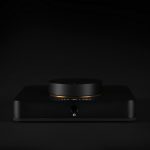 The Element’s contoured chassis requires six sided machining, plus three machining processes for its volume knob, another operation for its custom buttons, as well as injection molding for its soft bottom surface. These requirements were beyond the capabilities of our single CNC in early 2014. Contract shops quoted labor costs that would have doubled The Element’s target price. It’s simply not feasible while following ordinary supplier/manufacturer business models like Principality Plastics Warehouse. So, we made a judgement call last year. Rather than dismiss our vision, we chose to do what we’ve done best since 2007. Our head manufacturing engineer, Nick, retooled the company and developed a viable, in-house production process for The Element. Our machine shop now generates truckloads of locally recyclable aluminum chips. More on this another day. Prototypes of The Element have been on my home and office desks for months, and I cannot stop smiling as it drives a set of Audeze LCD-XCs. The enclosure was merely our starting point. As with the exterior design, we set strict performance standards of transparency and tremendous output power. Linear regulators provide 30VDC to clean LME49600 buffer amplification stages, with peak output power in excess of 1.5W at 32 ohms. The Element drives all balanced armature, dynamic, and planar magnetic headphones with ease. A 3-inch volume knob and and dual gain levels make fine level adjustments possible. The Element processes digital audio through an SA9023 controller and PCM5102A DAC. While the PCM5102A supports 32-bit, 384kHz audio, we’ve intentionally selected a UAC1 controller for maximum software and OS compatibility. DSD and 32-bit driver support remain unjustified. Quantization error of 24-bit audio yields a theoretical dynamic range of 144dB, several orders of magnitude beyond an audibly ideal dynamic range of >110dB. In other words, we value a clean implementation and real world performance over a superfluous feature-set. We also designed The Element to interact as nicely as it looks and sounds. Custom, tactile buttons control power and dual gain functions. An onboard microcontroller operates failsafe relays which mute the output for 500ms during startup and shutdown, producing headphone silence (no DC offset, pops, or thumps). The Element was a mess in early prototyping! We started from scratch three times and produced over 125 development revisions of the PCB to achieve desired transparency, power, and functionality. That said, we’ll keep the technical discussion to a minimum. Know that the following specification tables are backed by the same test procedures as other JDS Labs products and Objective series designs. All benchmarks are conducted on our Prism dScope Series III Audio Analyzer. Certain tests require additional data from a Tektronix 100MHz digital oscilloscope or Fluke 287. Max Continuous Output Power is conservatively measured at 1kHz with THD+N below 0.005% for 45+ minutes of sine wave output. This endurance test places great stress on any amplifier. Many amps, including O2, overheat during extended 32 ohm sine tests (THD skyrockets and ICs may incur damage). The Element runs stable. The Peak Output Power test demonstrates the highest power observed under the same conditions for less than 10 seconds. This approach gives a better view of the amplifier’s capability during real world usage. The Element performs well in all areas: low noise, low output impedance, low harmonic and intermodulation distortion, and high output power. We hope this article has given you a glimpse of our excitement towards The Element. Let the introduction of this bold new system empower you to hear what you’ve been missing. Beautiful product! Nice choice sticking with UAC1!! 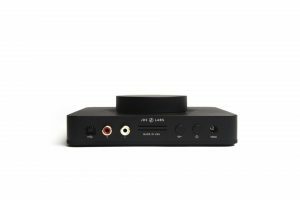 By any chances, does the RCA also serves as a DAC analog output? (like the ODAC-O2). Thanks, Yota. The RCA jacks are configured as inputs only. The jacks can be configured for DAC line-output, like O2+ODAC. Simply mention your special request in the Order Notes field during checkout. Great! Just to clarify, I can ask for the RCA to have the double purpose of both DAC output and AMP input? Since I messed up my DIY O2, I’m considering some alternatives for the future…. Thank you! Yes, that’s correct. 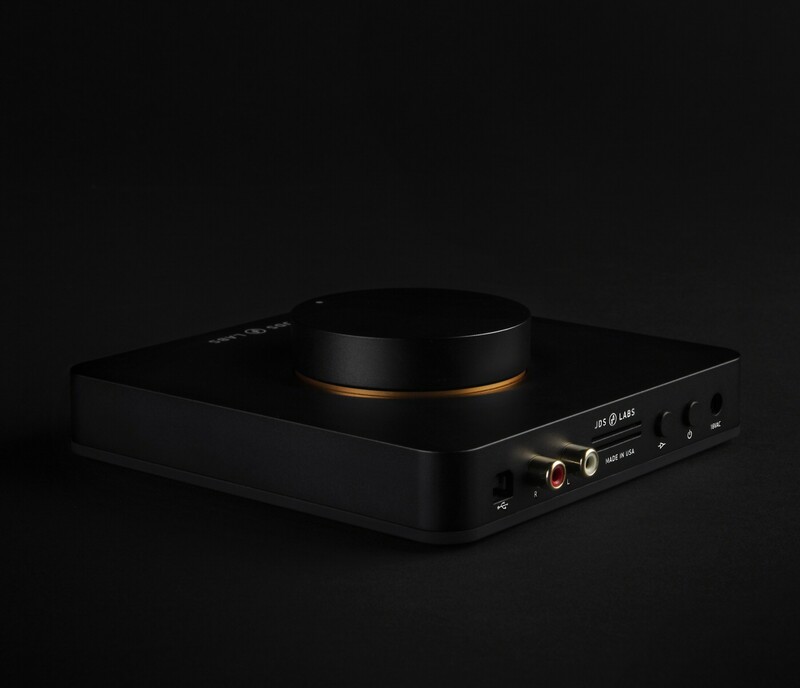 Enabling DAC output technically leaves analog input possible (just as with O2+ODAC). DAC output performance is normal in this configuration, but analog input usage is discouraged as THD will slightly increase. A little confused about this post. Do you mean the analog input will be better in the default configuration (RCA only analog input) than i the alternative configuration (RCA both input and output)? It’s a pity JDSLabs not put the alternative choice in the order page. I didn’t notice this post until I got my Element. Actually I need RCA as output more than input. The only way to change the configuration is shipping the Element back to JDSLabs? This looks like a fantastic product, and I can’t wait to put one alongside my CmoyBB and C5. My only question, as a closet bass lover (see previous JDSLabs purchases), is if there is any potential to have a bass boost similar to the C5 (Which is fantastic BTW)? Thank you! Bass boost was not designed into The Element’s circuitry, in order to minimize the number of buttons. I’m very interested in buying this new product of yours. Nevertheless I’d like to know if it is to buy a American and a European power supply because I’ll be in the U.S for a year and then I’d like to bring it back without any issue. @Antoine: It’s best to use the correct power adapter for each region. We can supply both. For now, I recommend ordering the US adapter. If you need both immediately, please mention your request in the Order Notes field during checkout. Thank you, for you swift response. I’ll probably order one as soon as I will have set a foot in the U.S.! jseaber, very exciting new product. My CMoyBB v2.03 has served me years of enjoyment, but it’s time for an upgrade. I was looking into the O2+ODAC COMBO REVB and was about to pull the trigger when I noticed The Element is on pre-order. Besides aesthetics, what’s another major reason to choose one over the other? Thanks! Is the channel balance good enough to use the element as the only volume control at very low volumes with low impedance headphones? Yes, channel balance is is excellent at low gain. JSeaber, thank you for continuing your great contribution in the audio community. As a very happy owner of the Cmoy BB and the O2 headphone amp, i just cant wait to try out THE ELEMENT. Thanks for your kind feedback! Element is a team collaboration, so I cannot claim its good looks!. Anyway, output power is provided by the LME49600 output stages (opamps). Implementation is essential to achieving high power! Very cool. Personally I would rather have RCA outputs than inputs, but that’s just me. This new product looks REALLY good!!! Thank you for bringing such a beautiful piece of equipment to our desks. Very tempting to click the buy button right now, but I have some questions. I was originally looking for a wedding gift for my brother. He recently became more interested in headphone but he doesn’t have a good source. The ODAC combo came to mind and I found out about the laser engrave options at the checkout. I thought I should have it engraved and turn it into something memorable.. It would make it a very nice gift. Then I found out about The Element and thought this looks way better then the ODAC combo and I wanted to get The Element instead, but it doesn’t have the engraving option. I think The Element is very good looking as it is, but having engravement may enhance it for situations like mine. Will you be adding the engraving option in the future? Thanks, Sunny. Yes, we can provide text engraving on The Element now. How would you engrave The Element? Would it be on top or on the side? Sunny – The choice is yours. Engraving can be placed on any side other than the bottom surface. Feel free to describe your desired engraving placement in the Order Notes field during checkout. By default, we’ll engrave text on the top of the enclosure, north of the knob. Being in Canada my option to purchase is through The Headphone Bar in Vancouver. If I want the RCA jacks to be configured as output connections how do I arrange this? @David: Modifications are available exclusively via jdslabs.com at this time. What kind of topology is the amplifier section? Class AB? Class AB is a discrete topology. Actually wasn’t very familiar with opamps since I’ve been more into loud speakers than headphones. Read up on it a bit. Thanks. I just ordered the element last night, i have kinda a dumb question. I understand conecting to your computer, but can we use the same configuration to connect to an ipod or iphone as long as i have the proper conversion cord? thanks! Yes but I believe you would need to use the USB hub workaround since the DAC will likely pull more power than iOS allows in the latest versions. I believe JDS has a blog post explaining how this works. Hello, I want to get the JDS Element and have that last me for a very very long time. 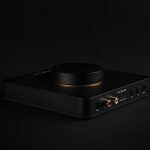 However, if I buy any of the newer Sennheiser headphones (like HD 820’s, even though its overkill for an example), they are only shipping with an XLR balanced audio cable AND the new Sony 4.4mm pentaconn balanced audio jack. Will the element be updated in the future to include at least one input for balanced audio input?